YEKATERINBURG, September 15. /TASS/. Scientists at the Yeltsin Urals Federal University (UrFU) say the celestial body, caught on video cameras over Western Russia in the evening of September 11 may have hit the Earth’s surface near Lake Seliger, in the Tver Region. "Researchers at the university’s Extra Terra Consortium laboratory and their counterparts from Finland have processed data from the Finnish fireball network and the videos of the meteorite’s flight that streaked over the Western areas of Russia in the evening of September 11 to arrive at the conclusion that its flight path ends some place in the Tver Region near Lake Seliger," the Urals Federal University said in a news release. UrFU Professor Viktor Grokhovsky speculates that the meteorite’s original size was one meter in diameter and mass, 1,000 kilograms, but only minor fragments reached the Earth’s surface. "(Our) Finnish colleagues are now making calculations with the aim of mapping out the likely fallout patterns. The exact location is yet to be established. Presumably, it’s the area of Lake Seliger, but the flight path is still being charted," Grokhovsky explained. 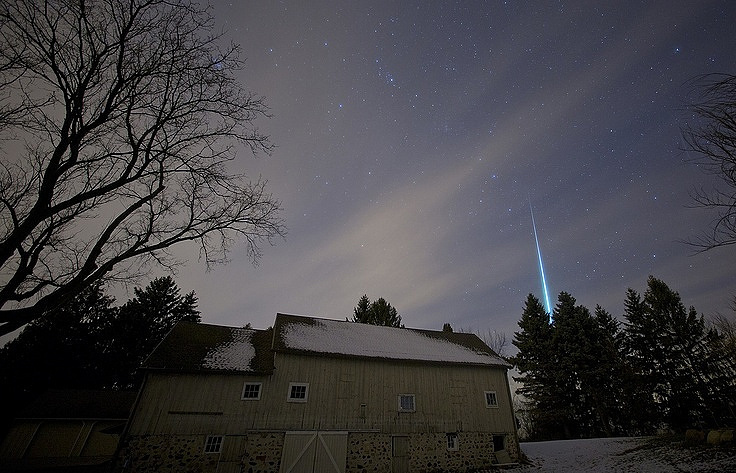 The meteor’s flight was observed in St. Petersburg, Smolensk, Novgorod, the Moscow Region, and southeastern Finland. "A bright fireball that dashed across the sky over western Russia sparked lively debates on the social networks. Most of the eyewitnesses were around St. Petersburg, so the event was most often referred to as the ‘St. Petersburg Meteorite’," the UrFU said. Earlier, a group of scientists in Irkutsk, Yekaterinburg and Helsinki calculated the main parameters and approximate trajectory of a bolide that flew over Buryatia and the Irkutsk Region on October 25, 2016. Files retrieved from CCTV cameras and car video recorders proved very helpful. 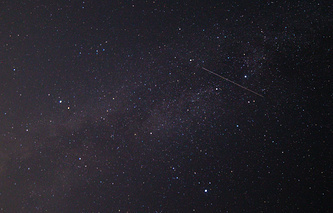 Specialists say that such cameras are crucial to identifying space objects and tracking their flight, so it is necessary to create vast networks of such cameras in the regions. Currently photo and video cameras have already been planted at three sites in the Urals to record phenomena occurring in the atmosphere.